Mr. Maeson Maherry (South Afrca) is a Professional PhD candidate in Cyber Security. He holds a Bachelor of Engineering from the University of Pretoria, South Africa. He has over 15 years experience in the digital engineering space. At present, he is a Lecturer for LEAD (Legal Education and Development) for LAW Society of South Africa on ECT Act and Electronic Communications in the legal profession. He has also been a Guest Lecturer at Wits post graduate law on electronic evidence, digital signature and forensics. He has been a speaker at numerous conferences on PKI, Encryption, Digital Signatures and has trained Magistrates on electronic evidence, electronic signatures and advanced electronic signatures. 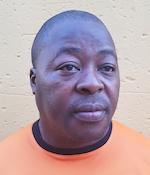 He has also designed the Department of Home Affairs electronic signature and fraud management system for the National Population Register and the Treasury’s electronic signature and fraud management system as well as the Government’s Biometric Headcount system for ghost worker identification. Mr. Johannes Veli Rubusana (South Africa) is a Dual PhD/DBA Combined program Candidate. He holds an MBA from Regenesys Business School, South Africa. He also holds a post-graduate Diploma in Project Management from Cranefield College and a Diploma in Education with Distinction from the University of Cape Town. Professionally, he is the founder of Cirha Holdings Ltd. a logistics and distributor for Coca-Cola, Unilever and third party products. He is an Educator and Facilitator with an strong record of Organizational Design, Communication, Change Management, Union and Employee Engagement. Ms. Karen Gotthelf (Australia) is a Professional PhD Candidate. She holds a Master of Organizational Psychology from Monash University, Australia and a Bachelor of Science with Honours in Psychology from Deakin University, Australia as well as a Bachelor of Science from Monash University. She completed her internship at the Cairnmillar Institute where she obtained a Certificate in Counselling and Marriage & Relationship Counselling. 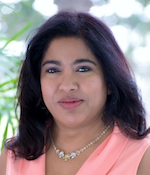 Professionally, she is a Partner and Consulting Psychologist and Executive Coach at Pathways Limited in Hong Kong. Ms. Gotthelf is also an Associate Counselling Psychologist and Coach at OPTUM EAP Services in Hong Kong. Previously, she was an Independent Counselling Psychologist in Melbourne, Australia. Ms. Gotthelf is a Registered Psychologist with the Australian Health Practitioner Regulation Agency (APHRA) and Associate Fellow of the Hong Kong Psychological Society. She is also a Member of the Australia Psychological Society (MAPS) and a Member of the Chinese Association of Cognitive Behavioural Therapy. Mr. Wayne Brown (USA) is a Doctor of Applied Leadership Candidate. He holds a Master of Public Administration from the University of West Florida and a Master of Science with Distinction from the National University in Aeronautical Management. He also holds a Bachelor of Science from the U.S. Coast Guard Academy and a Certificate in Terrorism from the University of St. Andrews in Scotland. He is a graduate student of the US Marine Corps Command & Staff College as well as a graduate of the USNORTHCOM and NORAD Joint Task Force Commander Training Course. He is a Fellow of the Seminar XXI Program at MIT, and graduate of the Senior Leader Program at George Washington University as well as the DHA-USCG Academy Leadership Development Center amongst other US Coast Guard Training programs. Most recently, Mr. Brown held the position of Business Development Analyst Principal & Homeland SME / Data Management Governance. Prior to that, he was Deputy Director of the Joint Program Office Unmanned Aircraft Systems Customs and Border Protection with the US Coast Guard. Mr. Stuart Evers (Ireland) is a Dual PhD / DBA Combined Program Candidate. He holds a Bachelor of Science with First Class Honours from Trinity College, Dublin. He also holds an Executive Leadership Certificate from the European Management Centre, an Advanced Diploma in Marketing & Sales and an Advanced Diploma in Marketing & Administration both from the Dublin Institute of Technology. Mr. Evers has over 23 years experience in the telecom industry in Europe. At present, he holds the position of CEO at Turk Telecom Group. He is also presently a Member of the Board at KTC Kazakhstan. Previous to this he was Chief Sales Officer & Group Chief Commercial Officer at TTI Budapest. 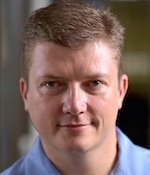 He has also held the position of CEO at GTS Czech in the Czech Republic. 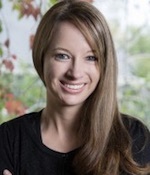 Ms. Rosarii Mannion (Ireland) is a Professional PhD Candidate. She holds a Master of Science in Organizational Development from the University of London as well as an Master in Arts in Management from the Institute of Public Administration (IPA) of the National University of Ireland. Ms. Mannion also holds a Bachelor of Arts in Public Administration from the University of Limerick. She holds a diploma in Mediation and a Higher Diploma from IPA, Diploma in Leadership & Executive Coaching from Kingstown College, Dublin and a Diploma in Quality Improvement from RCPI. Professionally, she holds the position of National HR Director for the Health Service Executive (HSE) of the Irish Health Service. 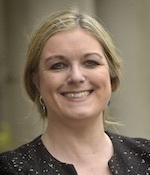 Previously, she held the position of Director of HR at the RCSI Hospital Group and has been the Assistant National HR Director for Dublin North East among other regional appointments. She has been a Board Member of the Nursing & Midwifery Board of Ireland and is a current member of HSE Board (Directorate). She is the recipient of the Zenith Global Award in London in 2017 and the ICF Leadership & Executive Coach of the Year award for 2017. Ms. Windy Tshepiso Maledu (South Africa) is a Doctor of Professional Coaching Candidate. She holds a Master in Science and Post Graduate Diploma in Coaching and Behavioural Change from Henley Business School, UK. She also holds an Honours BA in Dramatic Arts from Wits University. She holds certificates in Industrial and Organizational Psychology and Human Resource Management from UNISA along with a higher certificate in Training & Development from the University of Johannesburg. Professionally, she is the Founder and Director of Ahang Human Potential where she acts as a Leadership Facilitator Consultant & Coach. 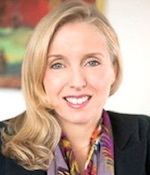 She has also held Leadership development positions at Liberty and the Discovery Group. She has coached and facilitated for different clients, including: Discovery, Eskom, Southern Sun, Isover, Danone, Liberty and ABSA Investment Bank. Mr. Christopher Coles (Canada) is a Professional PhD Candidate. 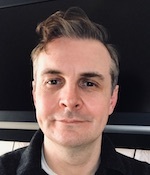 He holds a Master of Arts from the University of London, UK as well as a Diploma of Radio & Television Technology from the Northern Alberta Institute of Technology, Canada. He also holds language teaching certificates, including: CertTESOL fromTrinity University College, London; OxfordTEFL Teacher Training Certification; EFL Teaching Certification, Global TESOL College, Alberta. 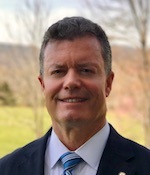 Professionally, Mr. Coles holds the position of Director of International Partnerships and Director of International Students at the Mongolian National University, Ulaanbaatar, Mongolia. He also is a Professor within the School of Economics & Business Administration at MNU. 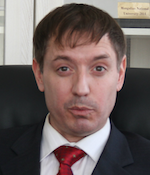 In the past he has held positions as Professor at École Supérieure de Commerce de Montpellier, France; Montpellier Business School, France and as a Lecturer at Kyiv Wesley College, Kyiv, Ukraine. Ms. Savannah Steinberg (South Africa) is a Doctor of Applied Leadership Candidate. She holds a Master in Management of Business & Executive Coaching from Wits Business School and a Bachelor of Commerce from Bond University, South Africa. Professionally, she is the founding director of STAR Leadership (Pty) Ltd. She is a Master Certified Coach (MCC) through the International Coaching Federation, and also Master Coach and Evaluator for COMENSA. 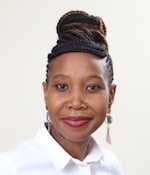 Ms. Steinberg is a lecturer for Executive Education at Wits Business School facilitating leadership development, personal mastery and systems thinking modules. 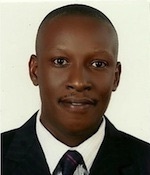 Mr. Michael Tusiime (Uganda) is a Doctor of Economics Candidate. He holds a Master of Arts in Economic Policy & Planning as well as a Bachelor of Arts in Economics & Political Science from Makerere University in Uganda. He also holds a Certificate in International Negotiations and a Certificate in Arbitration & Dispute Resolution from the united Nations Institute of Training & Research in Geneva. Mr. Tusiime has held the positions of Manager Medium Tax Payer Office in the Domestic Taxes Department of the Government of Uganda amongst other positions since 1997. Ms. Cindy Muthukarapan (South Africa) is a combined Master and Doctor of Applied Leadership Candidate. She is a Member of the ICF since 2006 and she is credentialed by the International Coach Federation as a Master Certified Coach since 2014. She is also Program Director and facilitates and trains Coach Mastery classes internationally with an ICF Accredited Coach training program. 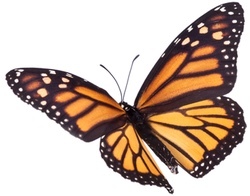 She has over 14 years of Coaching experience and over 5000 client coaching hours. Her client list includes Executive and Leadership coaching, public and private sector, small business, individual clients and the government where she focuses on Performance Coaching for leaders within the Department of Education. In her role as President of ICF South Africa Chapter, together with the ICFSA Board, she played a key role in chapter transformation, growth and development of the profession of coaching resulting in the South Africa chapter being awarded ‘High Performance Chapter” at a Global ICF Conference 2018 held in Vancouver. She also has spoken at numerous conferences and engagements over the past years.